First in a sauce pan, add water and bring it to boil. 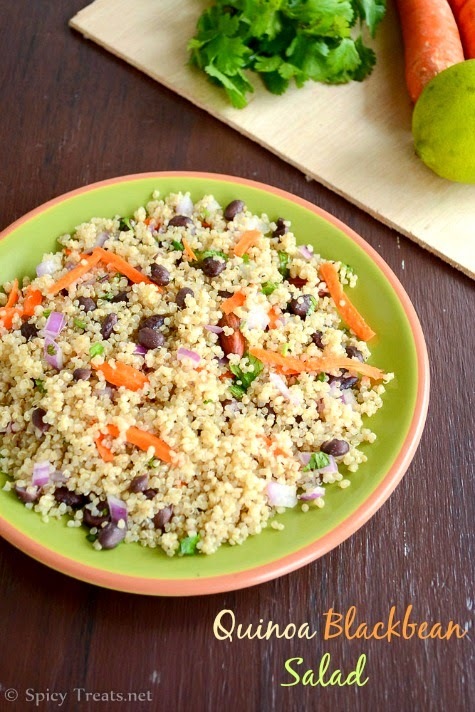 Wash quinoa using a strainer and drain excess water well, once the water starts boiling add quinoa and salt. 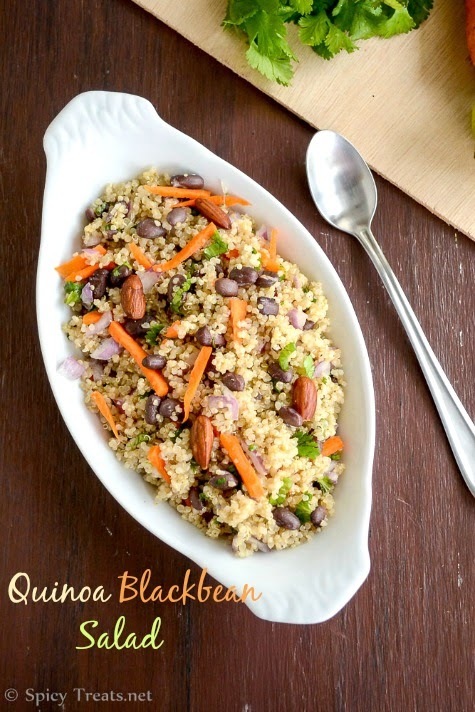 Cook in medium heat until quinoa is cooked. 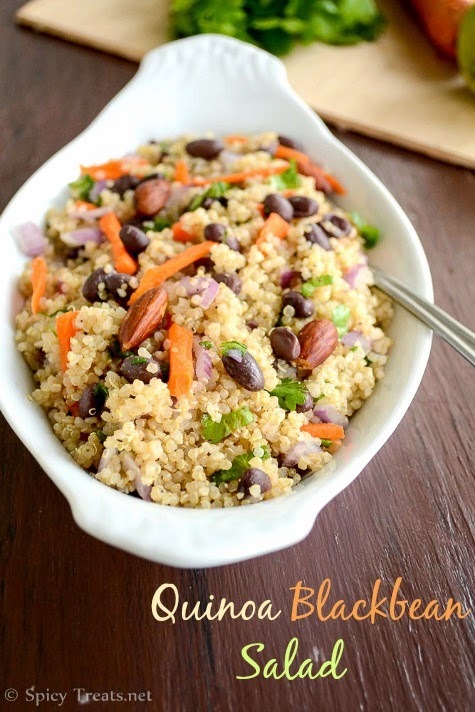 Once done transfer the cooked quinoa to a serving bowl, fluff and allow to cool. Mean while prepare dressing by mixing all the ingredients for dressing in a small bowl and stir well. Now to the quinoa, add all other ingredients except almonds, combine well and now pour the dressing over it and stir well. Then cover the serving bowl with plastic wrap and let it rest in the refrigerator for 15-20 minutes. And serve this delicious salad at room temperature. Just before serving add toasted almonds to the salad and toss well and serve. You can also add lime zest to dressing for extra citrus punch. You can also add some grilled or roasted and diced red bell pepper. 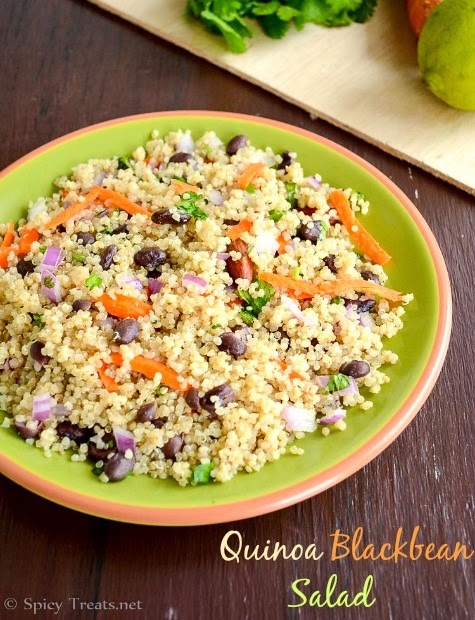 love this mexican twist to all time favorite quinoa. love your clicks always. Love this salad, I even add some cranberries to this..
salad looks so colourful. Its a meal on its own. great filling salad dear,looks yumm! A very healthy salad...Looks delish! !